Hi there! Welcome to my photography website! 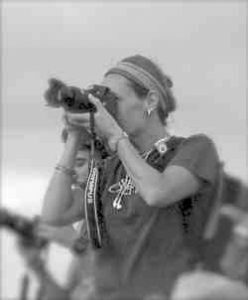 My name is Pam Wright and I have a crazy love for photography. In fact, I’ve had this love for photography for as long as I can remember. I think it dates back to looking at a specific coffee table book we had of the national parks. I must have been 7 or 8. In any case, I was mesmerized by the images of the wild landscapes, the rugged coastlines and the wildlife that lived in these remote settings. It certainly sparked a passion in me and I somehow wanted to capture the same kinds of images. I’ve been fortunate enough to have lived overseas for 27 years and I’ve traveled to the far corners of this earth. Having a camera in my hands always helps me to see, experience and immerse myself in the culture and beauty of far off places. Sometimes the beauty is not captured in the surroundings but in the resilience of the people. As a journalist, I’ve also been fortunate enough to get paid for capturing images that tell a story. Currently, I am an associate editor and writer at weather.com, which doesn’t afford me as much time as I’d like to get out and snap some shots. But, you can be sure that whenever I have some time off, the camera is in hand and I’m out and about exploring. I’m excited to begin a new chapter focusing on wildlife photography in the coming months, so please do check back in from time to time to see the latest galleries. I have some new equipment and I can’t wait to use it! My images are for sale, by the way, so if you would kindly contact me here, we can work out a fair price.